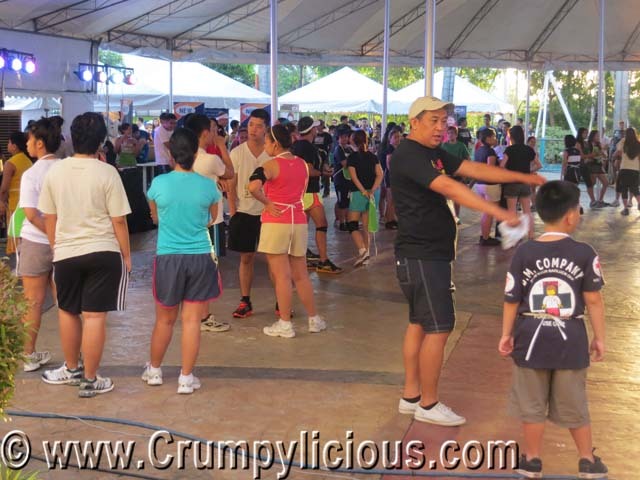 It's been two years since my last fun run so I was a bit reluctant to join my friends Berylle and D at the first ever Eat and Run by Asian Food Channel (AFC). But, I'm glad I did because it was tons of fun. 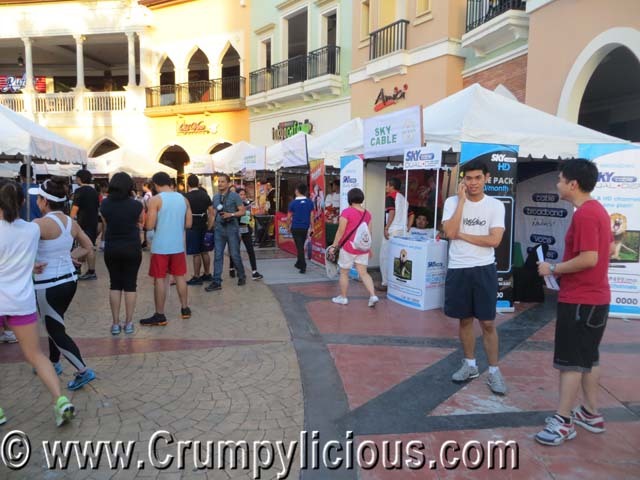 We were at the venue Piazza Venice Mc Kinley Hill before the stated time. The race was said to begin on 6:00 am. At around 6:20 am, the race mechanics was briefly explained. Then, a pilates instructor initiated the warm-up. We got out whole body stretched and conditioned. This run is a unique concept because its a 3-team relay. 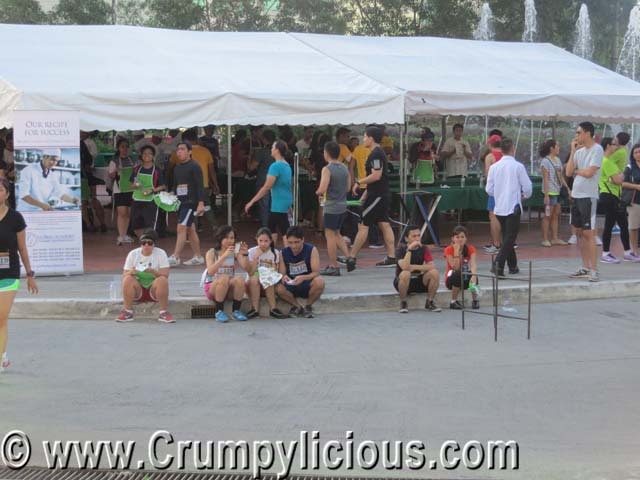 I was the first runner so I had to go to the starting point alone while B and D waited for me at the waiting area which I don't exactly know where. 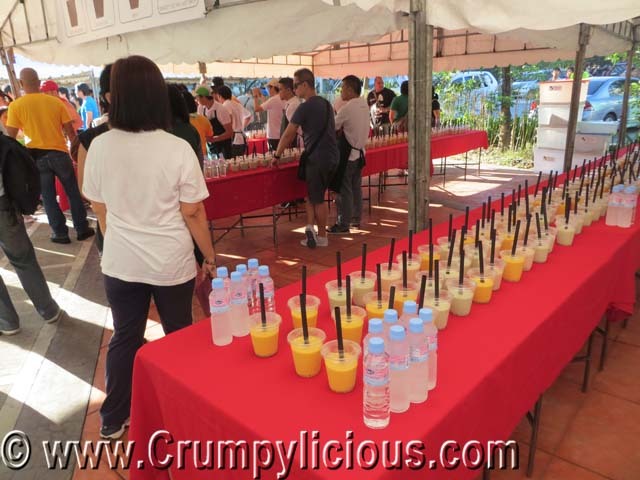 There were no hydration or water stations in the entire 2 KM track other than the Carb-Trim Iced Tea at the end of my relay. I was required to finish it. Then, I proceeded to eat my two chicken wraps. Once my foil was empty, I asked the marshall where to next and he told me to wait to look for our next runner which is B. I had no idea where they were. So, the guy with the mic got my number and waited then waited but still no sign of B. So, I went to look for her. 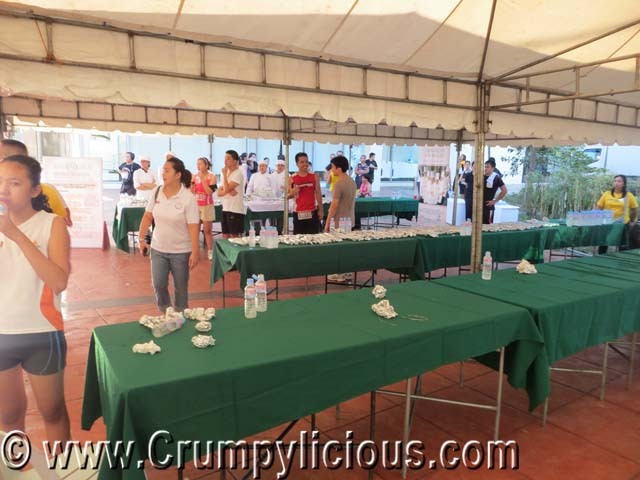 I went up to the first runner and second runner waiting area but was told that I should look for them at the waiting area behind the food station 1 so I came back down. I spotted them seated comfortably there and passed my race bib which works like a baton in the relay. B was quick to finish the taho with sago and did her 2 km relay. D took the wrong turn so he ran an extra lap before he reached the starting point. But, he was still quick to finish. He wasn't to enthusiastic about eating his 2 chicken wraps though. As soon as he was handed his two foils, he took his time to enjoy and munch them. Some even sat down and ate together and took pictures. Soon, D was done and all three of us ran together to the finish line. I had our bar code scanned for time stamping purposes. 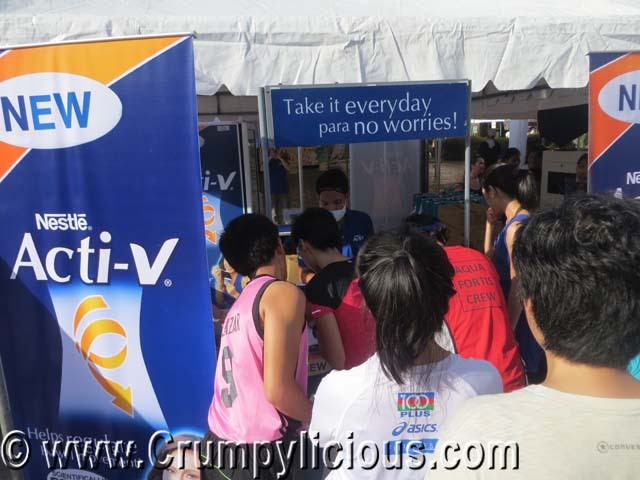 We got our free Acti-V strawberry yogurt and our loot bags with a nice finisher shirt. We also availed of their photo booth. 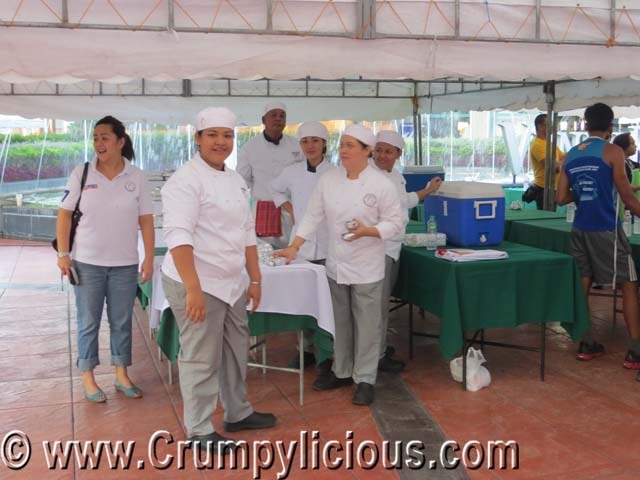 We took a quick stroll over the booths and had our hopes up for the raffle but didn't win so we headed for home. Overall, this run made me realize at how out of shape I am already. I've definitely neglected my fitness since I started food blogging. 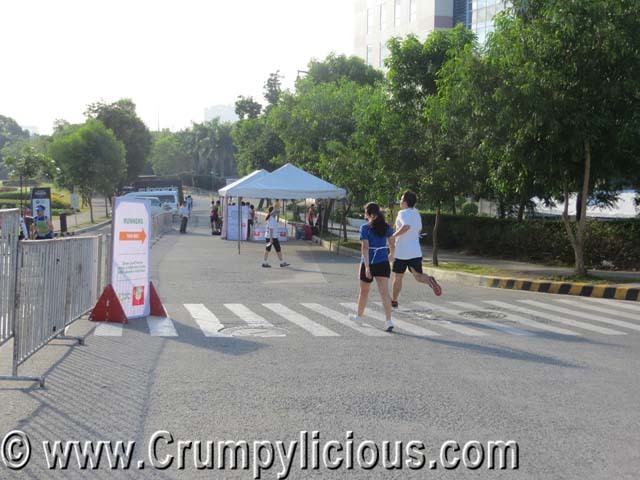 But just like this run, I believe that I can be fit and at the same time enjoy the pleasures of eating. Hopefully, I'll be successful and so I can share my progress here too. 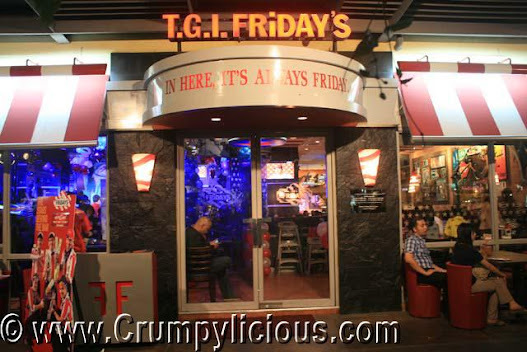 T.G.I.Friday's has been around for quite some time. 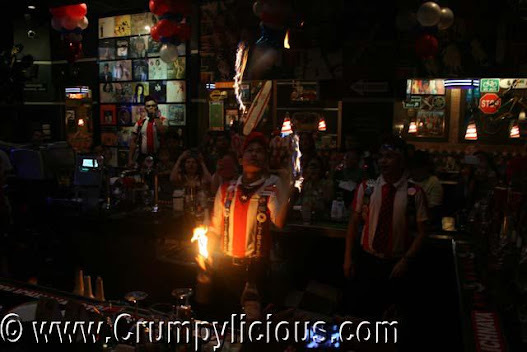 It's actually the first American casual dining chain in the Philippines. Yet, its innovative ideas is never ends. To spice up this summer, it has introduced a new bar menu which includes a wife array of affordable drinks like Ultimate drinks, beer on tap at 60 php, local bottled beer at 75 php and beer by the bucket for only 350 php. 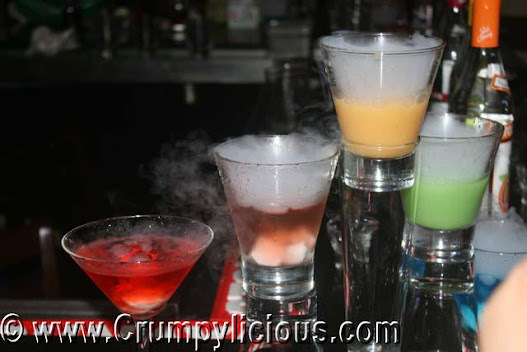 For the ladies, they also have cocktails such as Long Island Tea, Bahama Mama, Kamikaze and 77 Sunset Strip. 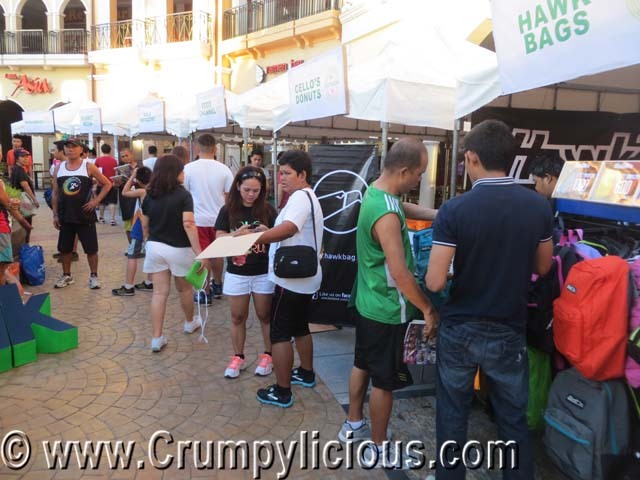 But, their refillable mojito at only 295 php available everyday is a popular item that will always be a crowd favorite. Another reason to visit T.G.I.Friday's is their new T.G.I.Friday's Red Card that will be available by first week of April. It is a passport for a buy-one, take-one on cocktails every Thursday. The best part is that its Red Card is distributed to its diners free of charge. T.G.I.Friday's has always been known for their flair tending. Since 1985, it has hosted its flair tending competition in the US. To keep up with their tradition, the first leg of the Stars Behind the Bar tour is launched. Watch the Stars Behind the Bar tour which is in partnership with Stolichnaya Vodka and be dazzled by the flips, flairs and tricks of their celebrity bartenders. I was fortunate to get to watch the skillful flair tending. 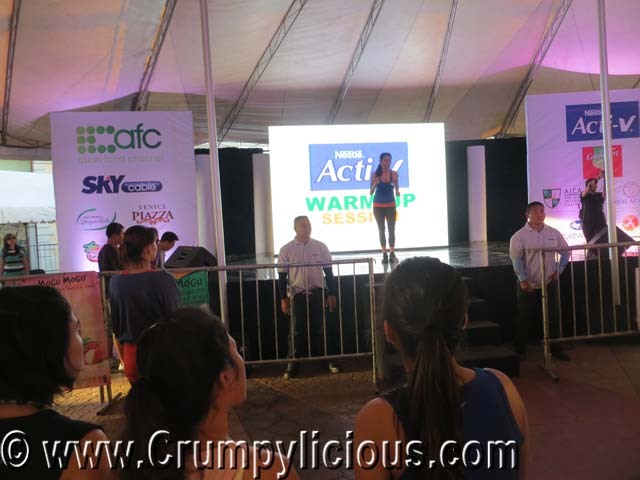 The crowd was cheering with glee and excitement. Some stunts were really breath taking. Junjun's enthusiastic personality together with his winning flair-tending moves, cool dance steps, quirky facial expressions and unique bakcground music makes him the ultimate entertainer. He has been handpicked by Department of Tourism to promote "It's more fun in the Philippines" to countries like India and Dubai. 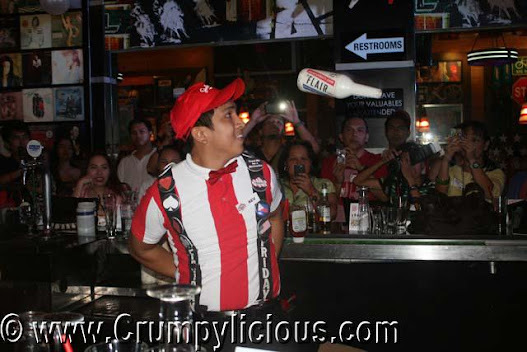 Gino from T.G.I.Friday's Marquee Mall Pampanga has won several bartending competitions including one sponsored by T.G.I.Friday's which he finds most memorable. Aldrin is a hardworking student who has been to various places even working in a restaurant in Singapore. 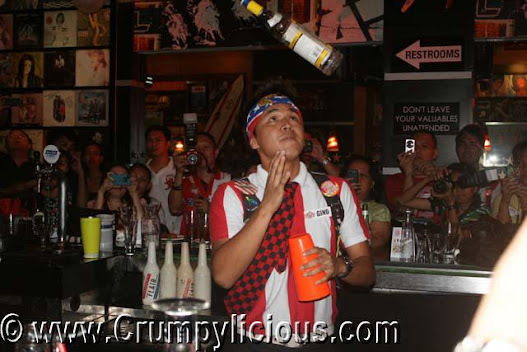 When he heard about T.G.I.Friday's TESDA bartending contest, he came back to the Philippines and won the contest. 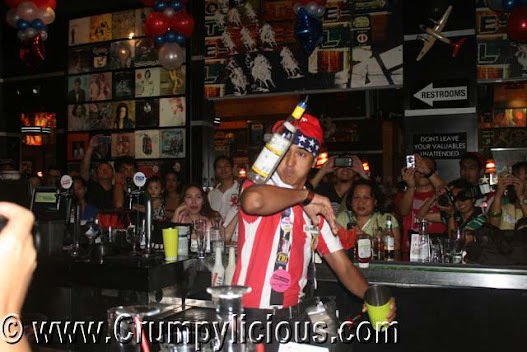 He's the Champion of T.G.I.Friday's Shake, Rattle and Pour Bartending Championship. They can even flair-tend in synchronization! It's awesome how they can do it in pairs. My favorite part is flair-tending with fired up bottles. It's hot and cool at the same time don't you think? Michael "Unstoppable" Rabago from T.G.I.Friday's Glorietta is such a passionate bartending with skills that are sure to impress anyone. It's his goal to be T.G.I.Friday's best and I'm sure someday he can be. Ronilo "The Showstopper" Bautista from T.G.I.Friday's Mall of Asia is inspired by a world-class batender and has been bartending since he was in college. He eventually won several competitions and his journey goes on. At T.G.I.Friday's party is as fun as ever.